Start saving & sharing trip ideas, plans & documents together, all in one place. 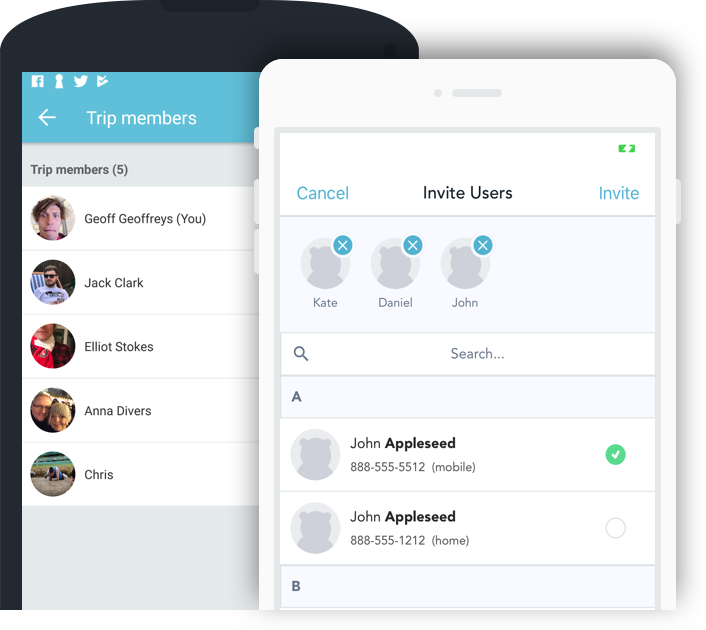 Invite friends, family or colleagues; whoever you're travelling with or those who want to just 'follow' your trip. Available on both the App Store and Google Play; it doesn't matter if your fellow travellers are iPhone or Android users. Curate your trip together - whether it's a city break, grabbing a week in the sun or a cool road trip. Avoid those 'wish we'd done that' feelings - save and share web links, comment on ideas, and build up your trip itinerary. HEHA! will even send recommendations through to get the ideas fowing and weather updates to help you plan. Upload confirmations and ticket pdfs into HEHA! 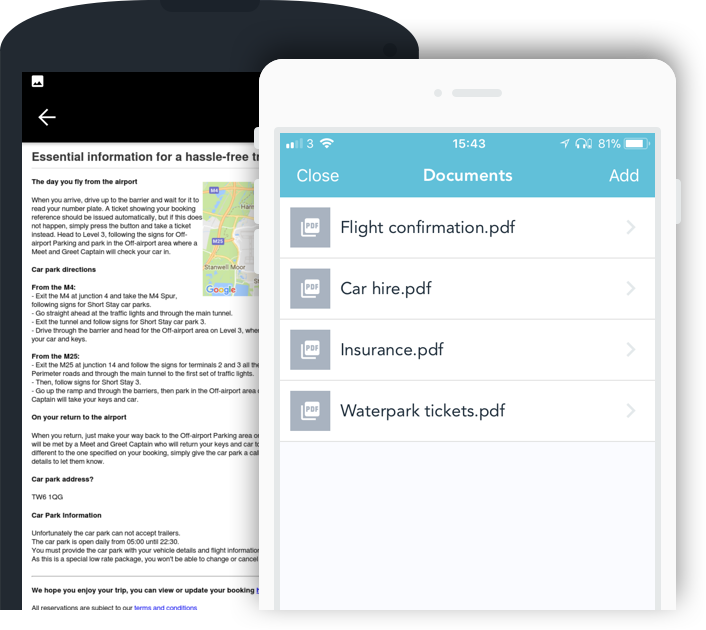 directly via email, iCloud, Google Drive or Dropbox - no more scrambling around to fnd that email confrmation or travelling with a bag full of print-outs! Access documents offline without needing an Internet connection. Use HEHA! as a place to remember all the best things about your holiday - look back at all the things you did, view your best photos and enjoy re-reading conversations. Curate your trip together; it's part of the fun! Escape post-travel blues; start creating a bucket list for your next trip! Making multi-stops in one trip? No problem. A trip can have multiple destinations. Great question! HEHA! 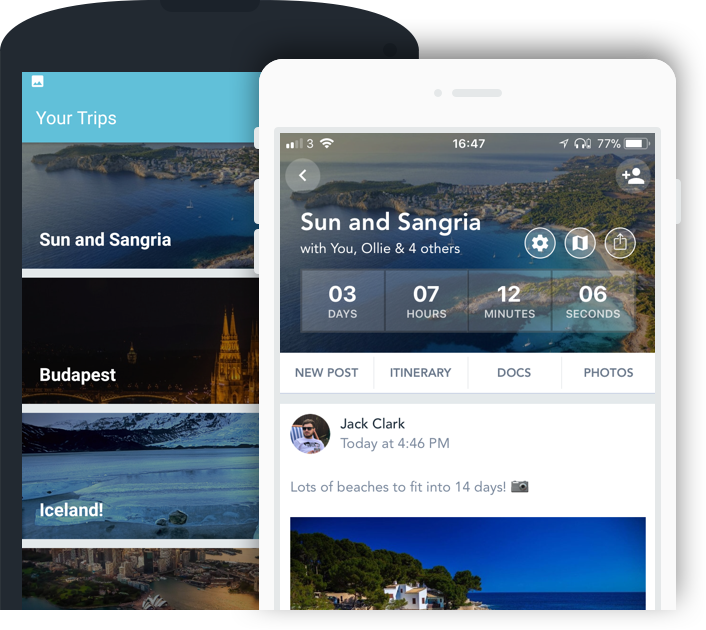 is a brand-new, innovative travel app designed to help you plan and organise your trips. 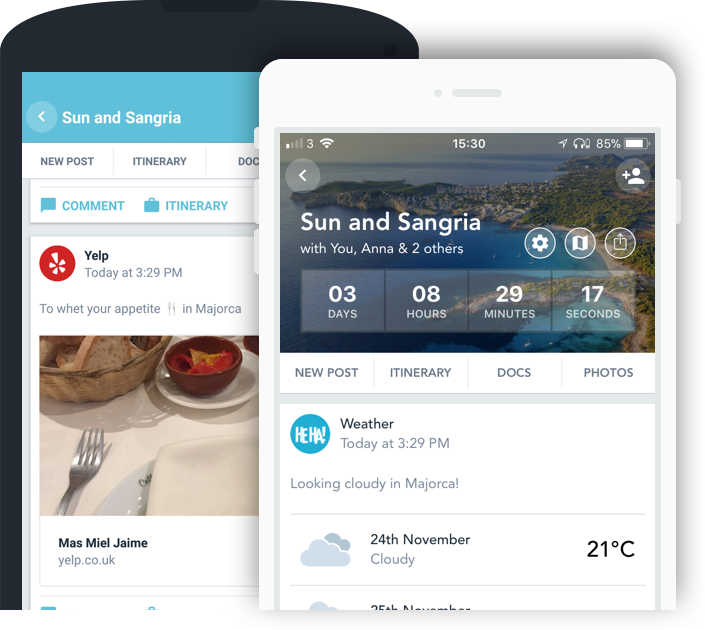 It is the brainchild of travel company Holiday Extras, who wanted to provide travellers with one central platform for all interactions about their trip. So that's your booking confirmations, your excursion wish list, your itinerary and even your group conversations with your family and friends to share ideas and travel details. All in one place. It's available on both the App Store and Google Play, so you download it on all your devices and add to it whenever the moment strikes! HEHA! is not just for planning either. 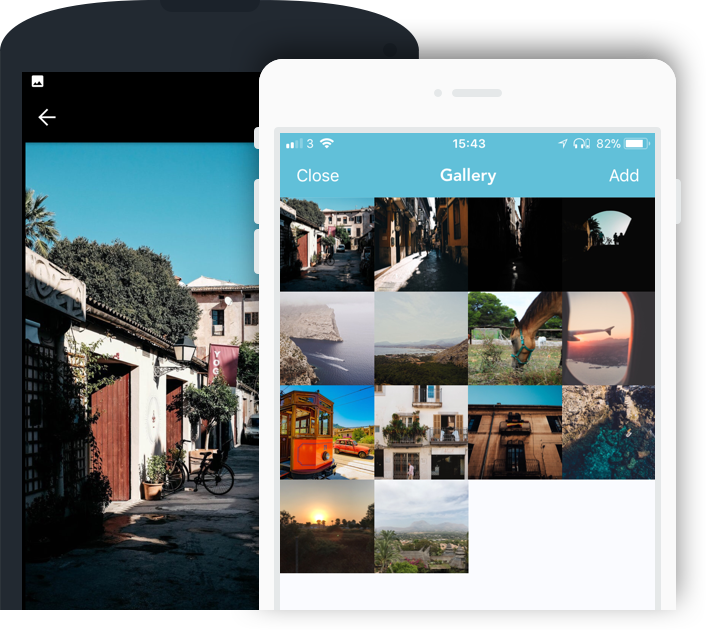 Use it to document and share your travels by uploading photos and links to your space. This can be for reminiscing later on or sharing with loved ones, or both! It doesn't stop there. HEHA! also provides handy reminders for things left on your to-do list, so if you're particularly forgetful this can be a complete lifesaver! So that's HEHA!, a trip planner in your pocket. Why do I need HEHA!? HEHA! will revolutionise the way you travel. From holiday brochure flicking to touchdown and beyond, HEHA! is your scrapbook, your messenger and your filing cabinet all at the touch of a button. There's no need to scrabble around trying to find and forward booking confirmations every time you need them because you've already saved them in the HEHA! app - imagine the time and hassle that saves you! No more do you need to chat with your holiday companions via five different communication channels because you can all chat and share links in your own personalised trip on the HEHA! app. Maybe you can finally get them to stay on topic too! Make sure you make the absolute most of your trip by creating an itinerary of all your top things to do, see and places to eat. All your invited friends can see the itinerary and they can all add to it too, so you can make sure it's the perfect trip for everyone involved. But the main reason you need the HEHA! app is to get you super organised and excited for your next trip. Holiday Extras are a leading, tech-driven travel company who specialise in the travel extras market. We offer a wide range of services including airport parking, airport hotels, airport lounges, travel insurance and airport transfers. Our products are designed to help make your journeys and holidays as smooth and hassle-free as possible. It is Holiday Extras' mission to help not just our customers but all travellers travel better. In one of our regular discussions on how we can improve the holiday experience, we realised there was not one central place people could talk about and plan their trip. And so the HEHA! app was born. For more information about our products or to book, visit the Holiday Extras' website. © 2017 Holiday Extras Ltd. Ashford Road, Newingreen, Kent, CT21 4JF.